From tranquil breakfast to more entertaining dinners Alice’s Garden Dining Sets really set the tone for a nice holiday atmosphere with friends and family. From the premium stylish and modern CHICAGO to more simple and elegant TAVOLA our range of Outdoor Dining Sets, which can accommodate up to 12 people, offers the right choice for every style and will easily fit with your outdoor or indoor environment. 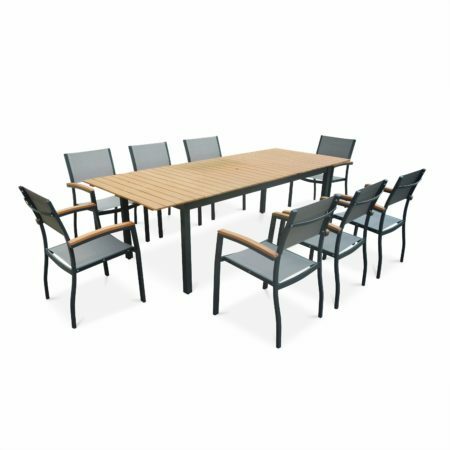 Whether you are after a PE Rattan modular set or a more stylish aluminium table Alice’s Garden has the right selection of garden tables for your needs. Alice’s Garden’s Outdoor Dining Sets are also heavy weather resistant with their frame in aluminium or steel galvanised and table tops in aluminium or 5mm-thick black toughened glass which is 5 times stronger than traditional glass. Alice’s Garden Dining Sets combine style with an effortless maintenance to makes it perfect for your Aussie outdoor lifestyle while also fitting with indoor places. Alice’s Garden is an eCommerce Australian Business offering Outdoor Furniture and Trampolines across Australia. 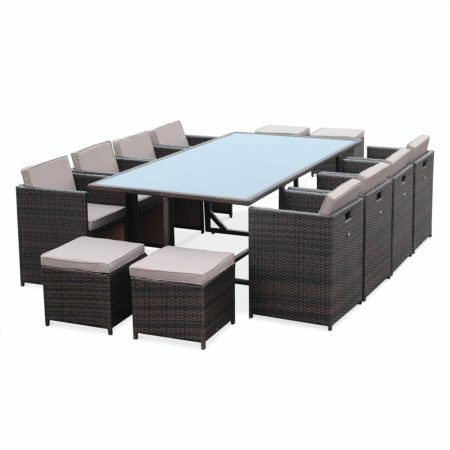 ALICESGARDEN is your one-stop shop for the best Outdoor Dining Sets & Chairs. We deliver across Australia with FREE METRO DELIVERY in Sydney and Melbourne.